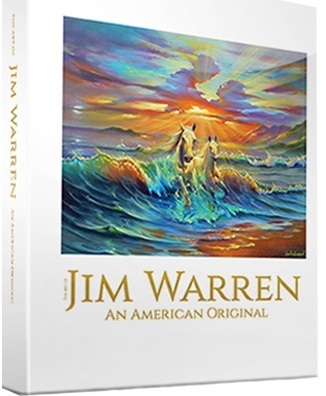 Jim 's newest book, The Art of Jim Warren An American Original, was released June 15, 2015. This signed, limited-edition book showcases over 195 of Jim’s selected works. 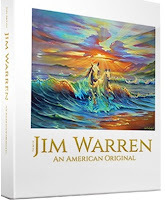 Featuring new paintings All Dogs Go To Heaven, Dreaming of Marilyn and Dali By Da Vinci as well as many classics, this is the book to have as a fan of Jim Warren. Be sure to drop by his website and check out his Facebook page for more information.